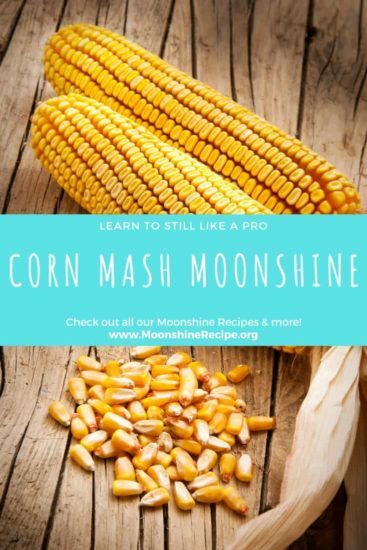 This Corn Mash Moonshine Recipe is simple, fun & straightforward. Well, maybe not as straight after you take a good healthy sip of those results! If you want to get a true classic moonshine experience this mash recipe is as authentic as it gets. Just make sure that you’re using quality corn seeds for the mash, well-ground (but not into flour, mind you). Both the fermentation and distillation steps should be fairly simple with this moonshine recipe, so even inexperienced runners can get great results with this one. This mash doesn’t require a super high proof so if you’ve got a pot still you should still see great results. If this is your first run, make sure you have all the extra needed equipment to ensure it goes off without a hitch! Obviously you’re going to need to ferment your mash. Sure, mason jars and that same bucket you use for oil changes in your car may be working for now. But if you want to shine like the big boys, it’s time to get serious. Old mash ingredients can get stuck in small scratches in plastic buckets/containers and so they must be swapped out with new ones occasionally. Glass is good for life basically, and it’s easy to tell when it’s not perfectly clean for the next batch. Oh, and snag yourself some airlocks, you should always have a healthy stash of these. Trust me, you don’t want to pitch yeast and then realize you don’t have a fresh one available! These puppies are super handy for the messy job of racking the liquid off into your still’s boiler. There are cheaper home-depot methods yes, but making a mistake while racking a full heavy fermentation container can be devastating. Have you ever lost half the mash all over the floor because your hands got wet/slippery? I cried a little. The cost for this little gadget is well worth the stress and frustration of having to re-rack your mash because you messed it up the first time, or worse, lost half of it. 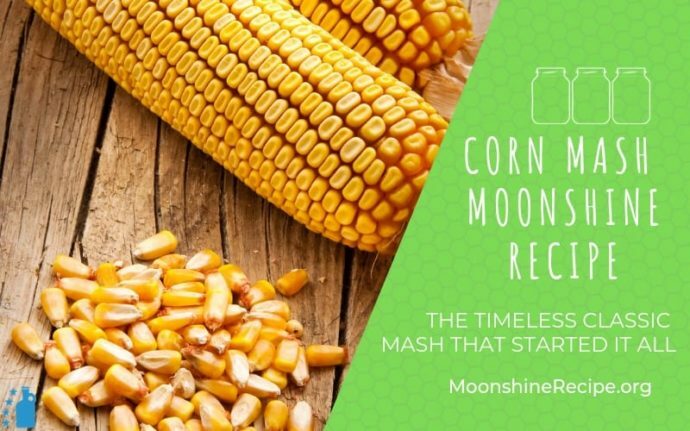 A timeless classic, corn mash moonshine! Mix sugar with corn and water in the fermentation bucket by thoroughly stirring the liquid with a spoon for a couple of minutes. Add the yeast then seal the bucket with the lid. Place the airlock in the respective opening, making sure that the seal is airtight. Allow the mash to ferment completely, which should take about 2 weeks in total. Once the bubbling in the airlock stops, leave for an additional 2-3 days. Open the fermenter and rack the wash (filter off any solids and sediment) by using a siphon tube and (optional) filter. Place the collected wash inside your still's boiler and fire it up! Depending on your still type you may obtain different final proof of moonshine as well as drop rate. Pot still users may require a second (or third) still run to obtain higher proof moonshine. Patience and restraint are a 'shiners best companions!